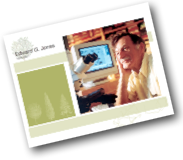 It is with great sadness that on June 6th, 2011 UC Davis and the greater neuroscience community lost Dr. Edward G. (Ted) Jones, who passed away while attending a conference in Los Angeles. Dr. Jones was the former director of the UC Davis Center for Neuroscience and has been an active and valuable member of the neuroscience community both at Davis and at other institutions. He will be greatly missed by family, friends, and colleagues. Jones’ work on the structure and function of the central nervous system was distinguished by enormous breadth and scope, both intellectually and technically. He has made seminal contributions to understanding the circuitry, cellular properties, and basic organizational plans of the cerebral cortex and thalamus, their development, functional interrelationships, plasticity, and pathology. He has received many prestigious awards, including the Cajal Medal, the Henry Gray award, and the Karl Spencer Lashley Award. Ted Jones was born in Upper Hutt, New Zealand and received his M.D. in 1962 from the University of Otago. He earned his Ph.D. from the University of Oxford in 1968 and held teaching positions at both institutions before joining the faculty at Washington University School of Medicine in St. Louis, M.O., in 1972. In 1978 he became a US Citizen, and in 1984 joined the University of California as the chair for the Department of Anatomy and Neurobiology at UC Irvine. From 1988 to 1996, he led research on the brain at Japan’s RIKEN science institute. In 1998 Jones became the director of the Center for Neuroscience at UC Davis, a position he held until 2009. During his tenure as director, Ted also served as president of the Society for Neuroscience, contributed greatly to the Human Brain Project, and in 2004 was elected to the National Academy of Sciences. 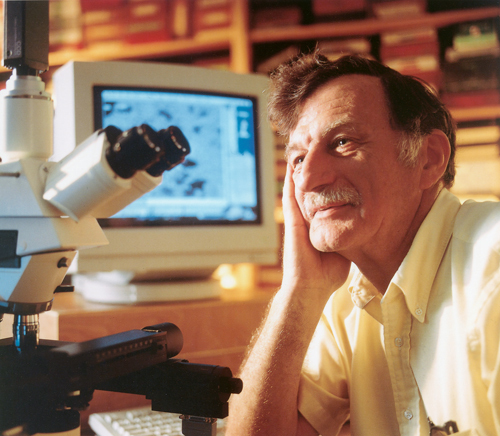 Although he officially retired in the summer of 2010, he passionately continued to pursue his research until his sudden passing. Ted was 72 years old. If you have pictures of Ted that you would like to share, please go to our Photo Gallery and email them to us. We welcome you to share your thoughts and reflections about Ted for the broader scientific community, friends and family in the comments below. We would like to thank everyone for stopping by to remember Ted and contribute to our memory of him. I knew Ted for nearly 30 years as a friend, colleague and mentor. The depth and breadth of his knowledge of thalamic and neocortical organization was legendary, and I constantly consulted his books and papers from the time I started graduate school in 1974. In fact, the day I started my thesis work at Hopkins in Mark Molliver’s lab, Mark handed me stack of Jones/Powell papers and simply said “you need to start by reading all of these”. The 1970 paper in Brain on corticocortical convergence influenced my thinking on corticocortical circuitry for the rest of my life, and I still use figures from that paper when I lecture on cortex. Ted had a towering intellect and the ultimate commitment to high quality, insightful, scientific investigation and discourse. We have lost one of our giants. 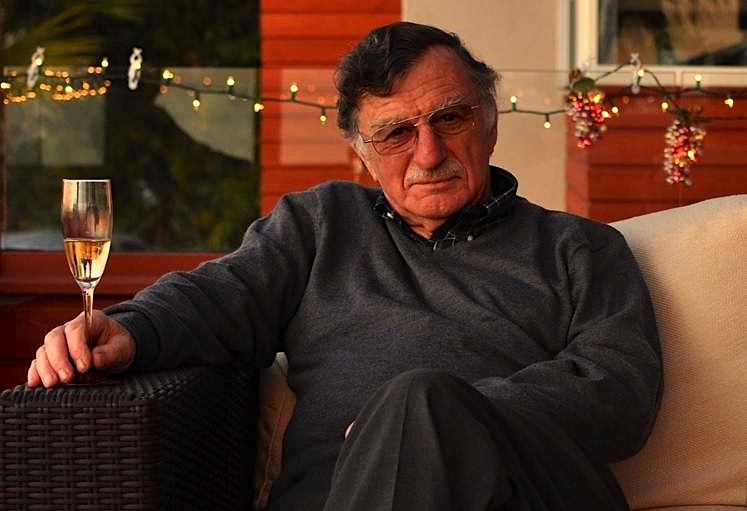 I am feeling depply sorry to hear this terribly bad news….His passing way is a huge loss for Neuroscience. Dr. Edward G. (Ted) Jones is great scientist full of energy and passion, strict and serious. Normally people like to put their names as co-authors in the papers to which even they barely have any contributions, this was not the case for Ted. After working in his lab as a postdoc for 3 years, we have got the first manuscript in 1996. Ted had spent a lot of time to help polishing the materials, he had also consulted with other scientists for comments. However I was told to move his name from the corresponding author to the acknowledgment note. He said that his intelectual contributions were not strong enough to qualify as a co-author. I could publish the works from his lab in 3 papers, all were published without him as a co-author. The same happened to other members in his lab. I forgot to mention that I started neuroscience in his RIKEN lab. Ted’s sudden passing is a huge loss for the neuroscience community, but goes beyond that as well. Ted was my first boss. As a research assistant in his Wash U lab, he taught me much about good science, and good scotch. With Ted, I met Watson at Cold Spring Harbor Lab, and Crick too. He gave me opportunities that helped shape my career path. My condolences to Ted’s family, friends, and colleagues. Dr. Jones is a so wonderful person not only in science. He always gave his hands to others like me, an international researcher in CNS. I am really grateful to his generosity and help. He will be remembered and appreciated all the time. We lost a hornored scientist, a respectful directer and a real gentleman who always cares about people. Dr. Jones does not really leave us, he still lives in our hearts. Dr. Jones give me the opportunity to work for him when all I had to offer was great curiosity and the willingness to learn as an undergraduate student. What I have learned from him and his team has not only exceeded my own expectation for my abilities but also inspired the researchers I am currently working with to offer research opportunities to other committed undergraduates. Dr. Jones has shown many of us the genuine spirit necessarily to be a true scientific investigator, to not only excel in his academic pursues but also to inspire new minds to realize their potentials. He approaches science with great inquisitiveness and purpose, but along his seriousness, not a moment went without notice of his humor and passion. His passing is a great loss for the many who have been fortunately enough to meet him, and as well, for the field of science to which he has been such an instrumental force for growth. Ted was a great friend and colleague. I remember very fondly all of our interactions concerning the thalamus and cerebral cortex. I will miss him dearly. It was a true privilege to work with Ted for five years in my role as lead dean of the Center for Neuroscience while Ted was director. From our first meeting, I was in awe of his remarkable and broad intellect, and of his natural talent for getting straight to the heart of any complex issue we might be discussing. He was a fierce advocate for his center and his faculty – particularly the young faculty – and I always admired the depth and honesty of his feelings, even on those rare occasions when we might have disagreed about something. After finishing our business, I always enjoyed the opportunity to appreciate Ted’s broad interests in other areas, and every conversation was memorable, whether the topic was olive oil or art. I will miss him, but treasure the memories. I send my condolences to Dr. Jones’ family, friends, and colleagues. I was shocked and very saddened to hear of his sudden passing. I was fortunate to have Dr. Jones as a professor in some core courses. He served as a member of my disseration committee and I also had the privilege of working in his lab under the guidance of Dr. Karl Murray for a year. Dr. Jones was very caring and supportive of students. He was succint but encouraging. During difficult times, he said, “Let me know if there is anything I can do to help” and I knew that it was a sincere offer. Despite his very busy schedule, he did his best to make my disseration committee meetings, which were scheduled twice a year. It didn’t escape me that he was the first person on my committee to offer his signature for my dissertation and wish me well on my future endeavors. As he went doing what he loved, he left behind an incredible legacy and many memories. He will be missed but never forgotten. I have known Ted for many years, first through various committees of the Society for Neuroscience. During the last decade, I worked closely with him in the context of the Pritzker Neuropsychiatric Research Consortium in which Ted was the UC Davis Site Director. We interacted at many levels– from broad and strategic questions regarding scientific directions, to on-the-ground work dissecting valuable postmortem human brains, to writing and editing collaborative papers and orchestrating the scientific efforts of a broad and far flung team of scientists. Ted was one of the giants of human neuroanatomy. The depth and breadth of his knowledge about the thalamus was literally unique in the world. He was also a true scholar, who delved into knowledge in great depth and cared intensely about details and the nuances. His knowledge about the history of our field was unparalleled and his collection of scientific books truly impressive. But what I probably admired even more is Ted’s personal integrity– as a scientist and beyond. He was generally very quiet during working meetings, but when he spoke people listened. He said what he believed, without sugar coating, and it had remarkable impact. Maybe because Ted could seem reserved at times, it was especially fun to discover his more personal side. He and his wife Sue were wonderful hosts, and not surprisingly Ted was extremely knowledgeable about many other aspects of life– good food, wine, far flung and exotic places, to name a few. Ted spoke warmly and with great pride about his family. We became friends, and Ted was someone I could count on to offer quiet support during difficult times and to show genuine pleasure when good things came my way. Ted was a great man, someone I worked with, admired and cared about deeply, and I already miss him. Dr. Jones was a great scientist. I was very fortunate to work for him for ten years, and I am really sad at his sudden loss. His trust, kindness, sincerity, and humor, all remind me of him constantly. His reputation in science, broad knowledge, reliable personality, intellect, and nimble thought inspired me to work hard to pursue new goals. Every time I went to see him with a new experiment planned, he would be serious and patiently listened to me first, and would then kindly discuss with me and encourage me. At the end, he would always say, “let me to know the result, and good luck”. Recently, I have had the opportunity to assist him in dissecting human postmortem brains and found him to be always precise and highly attentive in dissections, whether it was one sample or hundreds of samples. He was very kind to teach me and answer my questions. After the last dissection, he himself cleaned up all the surgical equipment put them back in their storage area, said to me “thanks,” and left. I never missed receiving Christmas cards and gifts during these 10 years. He was the best PI and someone I had the utmost respect for. I enjoyed working with him very much. I will remember him forever. What a loss for all of us.. So many will miss not only Ted’s raging intellect but also his raging humor… not to mention his extraordinary science. A giant amongst us. Ted and I first started “interacting” about thalamic anatomy and connectivity when he was in St. Louis and I was starting my career at Florida State Univ in Tallahassee. I invited him to visit my department the early 70′s. He stayed at my house, and both my husband and children and I enjoyed his friendly company there. BUT, while looking at data in my lab, Ted did not hesitate to announce loudly and long to anyone who would listen that he did not agree with/believe some of my anatomical findings–vintage Ted… At one point during our “discussions,” while (whilst?) looking down my microscope at some autoradiographic labeled tissue, Ted muttered…”Do you mind if I do some experiments on this?” I said, “Sure,” and then forgot about it. Such behavior is so very rare in our world now—class act honesty, with humor and grace. I was blown away with high regard for Ted then, and remained in awe thereafter. We ended up writing a small paper on the “proline story,” and, to my regret, did not work together again after that, remaining simply friendly colleagues at SfN meetings. I send my deepest condolences to all of Ted’s close family, both at home and professionally. I miss him too. I have always felt privileged to work for Ted and I have been continually amazed at both the breadth and depth of his knowledge and interests. Upon his passing, I fnd that words are inadequate to express fully my feeling of loss; the best I can do is to relate some of my memories of him. These are all personal memories for me, but some of them may resonate with other people. These are some of my reminders and memories of Ted. and then see him deliver a great talk. I’ll miss him very much. Ted Jones was a person of compelling intellectual capacity and integrity who had true seriousness of purpose. He was a world leader in his fields whose work influenced the ways in which we think about key aspects of neuroanatomy. He was also an institution builder. While I had long been aware of the extraordinary respect in which he was held, I had never worked with him or seen him in action. That fortunate opportunity came through membership in the Pritzker Consortium in which his wonderful qualities were so vital and could be so inspiring. Apart from the direct scientific capacities and the intensity of purpose that he so constantly displayed, my memory of Ted will always include our interaction at a meeting of the Society f or Neuroscience. Together, we spent a long time just walking the aisles of a poster session talking about the posters and work. It was thrilling to see the wide range of materials in which he had interest and about which he could, and would, make trenchant comments. He genuinely enjoyed good work by others and could see where it might lead. And, though a great basic scientist, he was clearly interested in clinical activities. He was direct, straight forward, and committed. 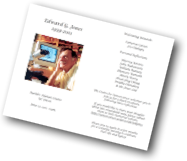 Ted Jones was a loyal friend and a wonderful colleague. Ted changed my life when he recruited me and Kim to Davis. From the day we arrived, he was the perfect mentor. Through example, he showed us that success occurs by striving for excellence, he proved that one can appreciate the past while pushing forward the future and, most importantly, he demonstrated that the best motivation comes from a pure love of science. Ted was an amazing colleague, generous with his time, equipment, and expertise. He never hesitated to read and provide comments on a manuscript, and he would make you feel good by reciprocating with his own work (though he didn’t really need any input). Ted was a great friend. I will miss the conversations, time sharing slides at the microscope, visits to his library, and the wonderful dinners he and Sue hosted at “Ranchito Jones” in Winters. Ted, thank you for being my mentor, colleague, and friend. I will cherish the memories. In addition to being the caring leader of the lab, Dr. Jones was a great mentor to me. During lunch, he would share stories about his trips to exotic places and opinions on variety of subjects. For me, I found his stories about his student days and his opinions on the future of neuroscience very amusing and inspiring. I am forever grateful to him for giving me the opportunity to work in his lab and advising me with graduate school application process and writing generous letter of recommendation for me. I will miss you very much, Dr. Jones. I regret bitterly not returning to Center for Neuroscience in UC Davis while I was visiting United States twice on March and April this year. My heart was broken when I suddenly learnt Ted was passing away. I fortunately got a postdoctoral training position under Ted’s guidance for past three years that is the most precious asset in science for my life time. My manuscript revised for publication by Ted again and again will be treasured up by me in perpetuity. Neuroscience community lost one of our giants and I lost my greatest mentor. Ted, you are a lighthouse in my navigation of neuroscience and a great example of mine for hard work daily upwardly. You will live in my heart forever and I will miss you! As I was browsing the Center for Neuroscience website to show one of our students the great showcase of scientists working at UC Davis, I discovered the sad news of Ted’s passing. I did not know Ted on a personal level, but like many others read his work in the form of scientific papers and book chapters. I remember warmly staying up late at night reading about the history of the term neuroplasticity and learning about Cajal’s work in texts written in excellent english (it was clear from reading his papers that Ted had the traits of a remarkable scholar, one who would dig into the original sources often published in romantic and germanic languages). As a postdoc at the Center I was always allowed to share resources from his lab and interact with an eclectic mix of scientists, junior and senior, who definitely shaped my views on science and education. Thank you Ted, I won’t forget you. Ted was a nice guy who really motivate me for neuroscience research. I spent my research life with him only 3 years, but he influenced me a lot. After leaving his lab, he still kept supporting me in many way, reading our paper before submission, warm conversation at the conference. I remember that he welcomed us at our surprising visit his nice home in Laguna Beach after Neuroscience meeting about 15 years ago. I missed Ted. I sat almost by chance opposite Ted in an Italian wine cellar in 2005. As we got to know each other, he humbly described his contributions to the genetics of the human brain that he had just presented at an international conference as a “hobby”. He spoke of his Californian vinyard, that he usually had an Italian in the laboratory and how all the researchers would help with the harvest. I remember he talked of a manuscript he had recently edited, where he recognised a synapse from somewhere. Ted then read everything the author had ever written and, sure enough, found the same synapse published decades earlier. Whilst he was not in my field, meeting an individual with such scientific talent and charisma, left me with no hesitation when I got the opportunity to traverse t he globe and move to Davis. We met once again some 5 years later, where he had made some time from his retirement to discuss some results, I came away with the impression of never having met someone who knew so well exactly what they were doing, both scientifically and socially. His contributions to science and civilization remain immense. In 2004, I received my PhD degree in medical pharmacology at the University of Cukurova in Turkey. I could not find a job for 8 months in my own country and I was very depressed and sad. During that time, I was also sending my resume to people in abroad without expecting any hope. However, one day, Dr. Jones replied my e-mail and he said he did not have a position, but he would be happy to forward my resume to his colleagues at UC Davis Medical School. I received another mail from Dr. Jones and he said two of his colleagues interested in my resume and he advised me to contact to them asap. So, I followed his advice and finally I was accepted to work as a post-doctoral fellow at the Department of Neurological Surgery, School of Medicine at the University of California-Davis (from October 2004 to July 2006). It was something unbelievable for me, just like a dream. Without Dr. Jones’ help, I would not have that experience. Thank you very much again Dr. Jones. Rest in Peace. You will be missed. I am just coming across this now and didn’t realize that Dr. Jones had passed. I remember him to be a brilliant mentor, someone who had such great passion for his work, and a compassionate heart for others. What a tremendous loss for the UC Davis and Neuroscience community. Dr. Jones you will be greatly missed, but never forgotten. I’m so sorry to hear this.His death it’s a big loss for neuroscience.I’ve read his book intituled The Thalamus which incorporate numerous developments in research and understanding of the mammalian thalamus, he was a brilliant scientist.Condolences to his family! Dr Jones will be greatly missed. Big loss to us all. This is such a sad news. Dr. Jones was a great man and he put into neuroscience lots of effort and success. We will miss you! We lost a lot after your death!